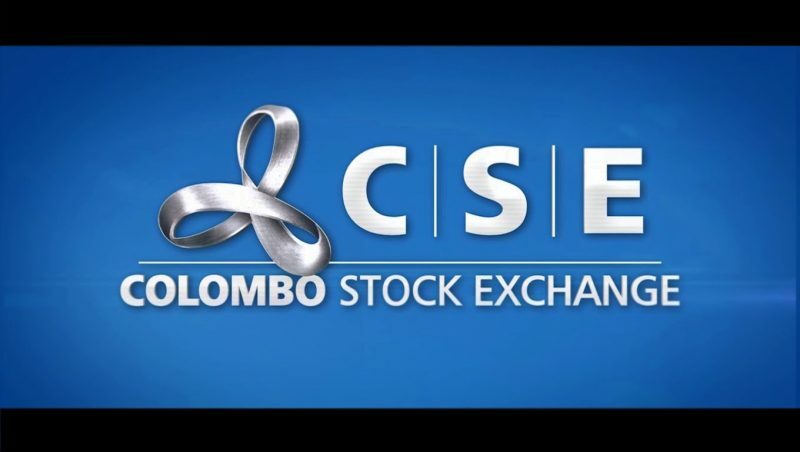 The Colombo Stock Exchange (CSE) continued this week to suffer from foreign selling of stocks. For the week ended today, net foreign selling was approximately Rs900mn, this is up from Rs400mn net foreign selling in the previous week. 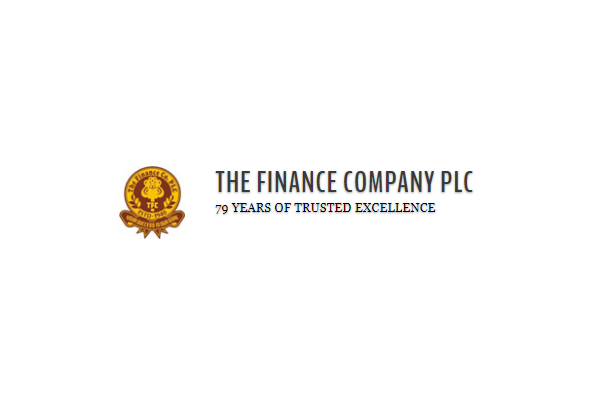 The foreign selling figures do not include significant foreign selling that would have happened when Sri Lanka’s leading blue chip company John Keells Holdings (JKH) executed a buyback offer to repurchase approximately Rs10bn (US$56mn) worth of stock last week. It is expected than most of the stock which was repurchased was sold by foreign institutions. 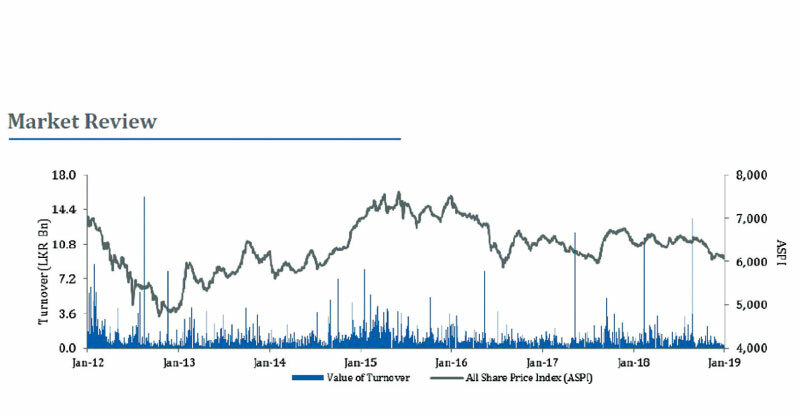 Despite the heavy foreign selling in JKH stock, the price has held relatively steady as Sri Lanka’s largest high net worth investors, Harry Jayawardena and the Captains, have been aggressively increasing their positions in the company. Together they now likely own well over 30% of the shares of the company. They have been accumulating shares at prices close to book value. Foreigners sold a net Rs23bn (US$130mn) worth of Sri Lankan equities in 2018, and to date in 2019 have likely net sold well over Rs10bn (US$55mn) net for the year if figures from the JKH buyback execution are included. Sri Lanka stocks look cheap with a market PE of less than 10, and price to book ratios approaching book value. A leading UK manufacturer has gained BOI approvals to begin laying the foundation for its newest state of the art manufacturing facility in Sri Lanka. Flexicare (Group) Limited is a UK headquarted manufacturer and supplier of medical devices, with subsidiaries in over 12 countries and two manufacturing sites, providing disposable medical consumables to over 110 countries. The agreement was signed on behalf of Flexicare by Ghassem Poormand, Chairman of Flexicare (Group) Limited. Also present at the signing ceremony were Hash Poormand, Managing Director and Sanjeeva Jayasinghe, General Manager Flexicare Sri Lanka. Champika Malalgoda, Director General of the BOI also participated. Flexicare Lanka was established in 2018 with a view to build a new bespoke operation in the heart of Sri Lanka, that will seek to support both the local market which Flexicare has been supplying with its exclusive distribution partner Technomedics International Pvt Ltd. This is for more than 15 years, and also the international healthcare arena that Flexicare is active in. The project which will be located in Bandaragama is expected to represent an investment in excess of U$10 mn over the course of the coming years and will create 600 new jobs in the region, in what is the first medical device manufacturing of its kind in the country with a fully integrated operation. 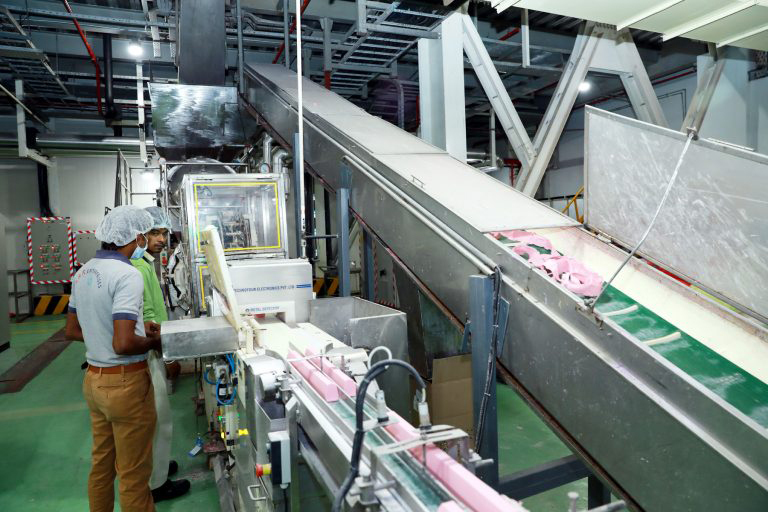 Sri Lanka was chosen as the outright choice for its 3rd manufacturing site due to the excellent infrastructure and forward investments in the country as well as its access to a world class export port that will serve the global markets that Flexicare is active in. A data-based approach to policymaking was advocated by well-known businessman Dhammika Perera to rapidly expand Sri Lanka’s economic growth, with special emphasis on education. Perera, speaking at an event organised by the National Intellectuals Organisation (NIO), last week gave detailed ideas of what should be included in a national policy, which could be implemented by the Government. Indicating how complex national policy making could be, Perera nonetheless recommended that education should be at the core of any policy document. NIO is planning to release a comprehensive national policy document later this month, which Perera noted should have a wide range of development goals on labour, employment creation, environmental management, entrepreneurship, exports and investment. “Sri Lanka had the Nalanda University before the British had Oxford and Cambridge. At that time, we were far ahead of the British. Then the Nalanda University closed and no effort was made to establish another university. However, Oxford and Cambridge flourished and the British eventually became an empire that colonised us. Even today, when the world is at the cusp of huge technological advances, what is referred to as the Fourth Industrial Revolution, education is the most important thing. So if we want to develop Sri Lanka, we need to focus on education,” he said. Extrapolating from data on Sri Lanka’s higher education system, Perera pointed out that a large number of students fail to get into State universities. 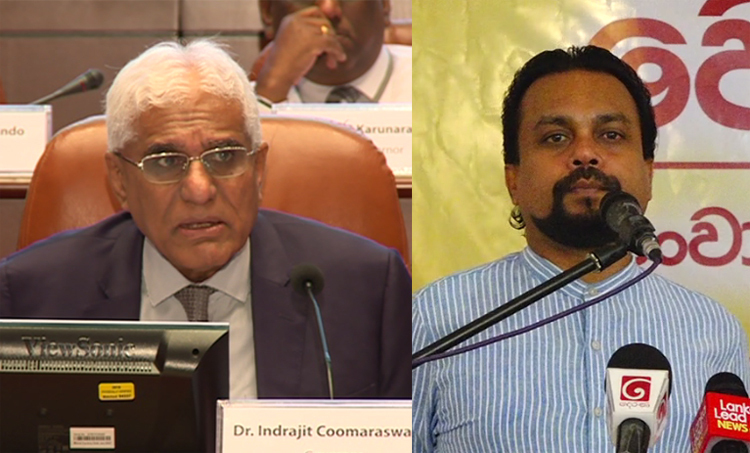 He stated that popular universities such as Sri Jayewardenepura University had the space to educate double the number of its current student population but resources were unavailable. Perera acknowledged the Government would have to funnel in a few billion initially to expand facilities but should then allow universities to generate income and expand to teach thousands of new students. Education reform is crucial, Perera said, because it is closely tied to social development. With education the population can adapt to a changing economy and be more competitive to be stakeholders in a knowledge economy. The rapid advancement of -driven industries would give Sri Lanka an edge to improve exports and attract investment. It would also enable the population to adapt faster to new job opportunities. Any national policy should have the ability to be relevant even five to 10 years from now, Perera said. Making the policy relevant to the average Sri Lankan is critical to getting stakeholder buy-in and push for implementation. Perera also suggested that the NIO should adopt policies that have been successful in other countries so that it has had real work testing. Having a stable State structure would allow for national policies to be implemented in a sustainable manner, he added. Foreign institutional bond investors have started to aggressively re-enter Sri Lanka’s government bond market after a rapid exodus in 2018. In the last 3 weeks, foreign investors have invested close to a net of US$100mn into Sri Lanka’s bonds. This comes on the back of close to a billion dollar outflow in 2018. Stability has returned to Sri Lanka’s economy after constitutional democracy was strongly upheld amid moves to execute an illegal transfer of governmental power. Confidence in Sri Lanka’s government and Prime Minister Ranil Wickremesinghe is starting to exhibit itself in Sri Lanka’s capital markets. Bond investors, often termed the ‘smart money’ have made an aggressive move back into Sri Lanka, while foreign equity investors continue to exit. 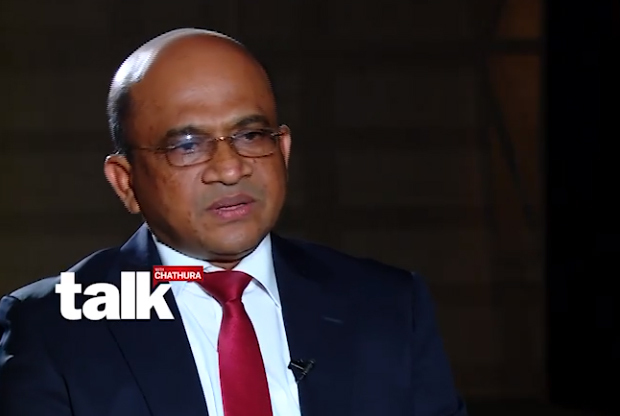 Inflows into Sri Lanka’s bond market are likely one of the key factors which have lead to a 3% surge in Sri Lanka’s currency (LKR) versus the dollar 2019. Analysts expect more inflows if Sri Lanka is able to execute a successful sovereign bond offering. The BOI’s Horana Export Processing Zone contributed US$ 31.8 Mn (Rs.5, 796.7 Mn) in export revenue as at end of 2018. Horana Export Processing Zone is located in the Kalutara District in the Western province. It is located 80 Km away from Bandaranayake International Airport, 55 Km from Colombo Port and only 18 Km to Southern Expressway. The Horana EPZ was established in 1999 on a land area of 395 acres of which 178 acres are industrial land. The infrastructure facilities at the zone include water, the processing of waste water and electricity, making it attractive to investors. The zone’s enterprises have a significant impact on the local economy as they provide employment to 2428 staff. The Zone therefore promotes the Government’s objective to develop regional industrialization. There are currently 21 enterprises in commercial operation at the Horana EPZ involved in the manufacture of Apparel & Accessories, Food, Wooden, Consumer, Steel & Aluminum, Paper and Plastic products. Among the leading enterprises at the Horana EPZ are Unilever Sri Lanka Ltd which manufactures consumer products such as soaps, shampoos and toothpaste, Nature rub Export Intl. (Pvt) Ltd manufacture apparel accessories including yarn and lace, Eco Spindles Pvt Ltd manufacture yarn by recycling plastic bottles. Funds have been allocated to carry out research on adding value to local spices in order to expand export markets. Minister of Primary Industries and Social Empowerment, Daya Gamage said, Rs. 146 million has been allocated for research on spices which is being carried out by five universities. At present cinnamon is the largest foreign exchange earner in the spice sector, Gamage said, adding that lack of human resources is an issue for the expansion of the sector. The spice sector can be developed further through value addition and innovation,” he said speaking at the soft launch of ‘the Global Spice Road Symposium (GSRA 2019) to be held from July 10 to 13 in Colombo. Through the symposium, the Sri Lankan spice sector is looking at expanding the sector with technological collaborations and investments. The spice industry representatives envision that Sri Lanka as a main spice country and the growers and the exporters will be able to benefit through technological collaborations and knowledge sharing sessions during the symposium. The main objective of this event is to create an upheaval in the main segments of spice, namely, agronomy, post harvesting, primary processing, technological intervention and value addition and export and commercials. Along with product quality, the hygienic factor of low quality spices augmented through the use of health hazardous chemicals, which in fact has been a negative factor contributing to the diminishing demand for Sri Lankan Spices. About 75% of cinnamon used in North America is cassia cinnamon. Most of this is imported from Indonesia. The remaining 25 % that is consumed in North America is Ceylon cinnamon from Sri Lanka. Both the United States and Canada largely consume cassia cinnamon. Mexico, on the other hand, largely consumes Ceylon cinnamon. මේ වන විට මෙරට රාජ්‍ය ගිණුම් පද්ධතිය විශාල අවුලකට ලක්ව ඇති බව විගණකාධිපති ගාමිණී විජේසිංහ මහතා පවසයි. දෙරණ talk with Chathura වැඩසටහන සමඟ එක්වෙමින් විගණකාධිපතිවරයා මේ බව කියා සිටියේය. මෙහිදී අදහස් දක්වමින් විගණකාධිපති ගාමිණී විජේසිංහ මහතා, “රටේ ණය තවමත් හොයාගන්න බැහැ. ඒක හොයන්න පුළුවන් එකක් නෙමෙයි“, යැයි පැවසුවේය. ප්‍රශ්නය - රටේ ණය බර ට්‍රිලියන 11 ක් කියලා කියනවා? පිළිතුර - ඒ සටහන් වෙලා තියෙන ගාණ. ඒක කියන්න පුළුවන් ඕන කෙනෙකුට. මහ බැංකුව කියන ගණන තමයි ට්‍රිලියන 11, ඒක මහ බැංකුවේ පොත්වල තියෙනවා. ඊට අමතරව ණය තව විශාල ප්‍රමාණයක් තියෙනවා. මහ බැංකුවේ අනුමැතියෙන් තොරව, එහෙම නැත්නම් ඒ චැනල් එකෙන් පිට ණය ගැනීම් ක්‍රමවේද ගොඩාක් තියෙනවා. ඒ නිසා තමයි ඒ ප්‍රශ්නය වෙලා තියෙන්නේ. ප්‍රශ්නය - මේක වැරැද්දුවේ ගිය ආණ්ඩුවද? පිළිතුර - මේක පසුගිය දශක දෙක පමණ තුල, විශේෂයෙන්ම පසුගිය කාලයේ මේ ණය පිළිබඳ ප්‍රශ්නය පැනනැගුණු නිසාම, මධ්‍යම ණය ගැනීමේ බව විමධ්‍යගත මට්ටමකට පත් කළා. ඒ හරහා ණය ගත්තා, සටහන් වුණා, එක එක තැන්වල වාර්තා වෙලා තියෙනවා. නමුත් අපි කියන ගනුදෙනු ඇතුළට, එකතු වීමේ නැති ප්‍රශ්නේ තමයි එතන තියෙන්නේ. ප්‍රශ්නය - එතකොට අපේ රට කීයක් ණයද කියලා, කවුරු හරි ඇහුවොත් ? පිළිතුර - දන්නේ නැහැ කියන්න. අපි ණය ගත්ත ප්‍රමාණය දන්නවා නම් විතරනේ අපිට ඒක ගෙවන්න ලැහැස්ති වෙන්න පුළුවන් වෙන්නේ. නමුත් විශේෂයෙන්ම රටේ, ගිණුම් පද්ධතිය ලොකු අවුලකට පත්වෙලා තියෙන්නේ. ගොඩාක් රාජ්‍ය ආයතනවල Single entry කියන සිස්ටම් එකට තමයි ගිණුම් පවත්වා ගෙන යන්නේ. එතකොට අපිට හොයා ගන්න පුළුවන්කමක් නැහැ, ඇත්ත වශයෙන්ම, ණය ගත්තාම ණය ශේෂය. හුඟක් වෙලාවට මුදල් පදනමට (cash basis) ගිණුම් පවත්වන්නේ. එතකොට ගෙවිය යුතු ශේෂයන් විශාල වශයෙන් ආයතනවල තියෙනවා. ඒක හරියට වාර්තා වෙන්නේ නැහැ. හරියටම නිවැරදි ශේෂයක් හඳුනාගන්න ක්‍රමවේදයක් තවමත් ඇත්තටම නැහැ. Murtaza Jafferjee, chairman of JB Securities, and Dimuthu Sanjaya Abeyesekera, director and chief executive of Asha Phillip Securities Ltd., have been appointed as directors of the Colombo Stock Exchange (CSE). A CSE statement said the appointments were with effect from 1st February 2019. Abeyesekera’s Asha Phillip Securities is affiliated with Phillip Capital Singapore, a specialised financial services organisation managing assets worth over US$35 billion with a network of offices around the world. “He is an experienced capital market professional counting over 30 years in the industry,” the CSE said. Abeyesekera is also a Director at Asha Financial Services, a specialised margin trading company in Colombo and is a past Chairman of the Colombo Stockbrokers Association (CSBA). Jafferjeeis has over 25 years of experience in the capital markets across multiple asset classes, the CSE said. He serves on the Board of Nations Trust Bank PLC and Serendib Hotels PLC as an Independent Director and also served on the Board of the CSE from August 2007 to July 2009. Jafferjee holds a Bachelors’ Degree in Mechanical Engineering and Computer Science from the University of New South Wales, Australia and a Masters’ Degree in Financial Economics from the University of Colombo. As a CFA charter holder, Jafferjee “makes an annual pledge to abide by the highest levels of ethics and professional conduct,” the statement said. 2018 වසර පුරාවට මෙරට රජයේ සුරැකුම්පත් වෙළෙඳපොළෙන් සිය ආයෝජන ඉවත් කරගනිමින් සිටි විදෙස් ආයෝජකයින් යළිත් වරක් ශ්‍රී ලංකාව දෙසට නැඹුරු වන ප්‍රවණතාවයත් පෙන්නුම් කරනු ලබයි. ඒ අනුව 2019 පෙබරවාරි 13 දින වන විට රජයේ සුරැකුම්පත්වල විදෙස් හිමිකාරීත්වය රුපියල් මිලියන 165,930 ක් ලෙසින් සටහන් වන අතර සතියක් තුළ දී මෙම වටිනාකමක රු. මිලියන 3,300 කින් ඉහළ ගොස් තිබේ. 2019 පෙබරවාරි 06 දින රජයේ සුරැකුම්පත්වල විදෙස් ආයෝජන ප්‍රමාණය සටහන් වූයේ රු. මිලියන 162,630 ක් වශයෙනි. මේ අතර 2019 ජනවාරි 16 වන විට රජයේ සුරැකුම්පත්වල විදෙස් ආයෝජන ප්‍රමාණය රු. මිලියන 145,450 ක් වශයෙන් සටහන් විය. මේ අනුව මාසයක කාලපරිච්ඡේදයක් තුළ දී විදෙස් ආයෝජකයින් විසින් මෙරට සුරැකුම්පත් වෙළෙඳපොළ තුළ කරන ලද ආයෝජන වටිනාකම රුපියල් මිලියන 20,480 කින් ශුද්ධ වශයෙන් වැඩි වී ඇත. 2018 වසර ආරම්භයේ සිට දෙසැම්බර් 26 දක්වා කාලපරිච්ඡේදය තුළ දී මෙරට රජයේ සුරැකුම්පත් වෙළෙඳපොළෙන් ඉවත් කරගෙන තිබෙන ශුද්ධ විදේශීය ආයෝජන වටිනාකම රු. මිලියන 159.8 කි. මෙහිදී ශ්‍රී ලංකා මහ බැංකුවේ නවතම දත්ත වාර්තාවන් හි මේ බව සඳහන් වේ. මේ අතර ශ්‍රී ලංකා මහ බැංකුවේ මුදල් මණ්ඩලය විසින් භාණ්ඩාගාර බිල්පත් හා භාණ්ඩාගාර බැඳුම්කර වල විදේශ ආයෝජන සීමාව, පවත්නා මුළු භාණ්ඩාගාර බිල්පත් හා භාණ්ඩාගාර බැඳුම්කර ප්‍රමාණයෙන් සියයට 10 සිට සියයට 5 දක්වා අඩු කිරීමට තීරණය කරනු ලැබීය. 2019 ජනවාරි 18 වනදා සිට බලපැවැත්වෙන පරිදි මහ බැංකුව විසින් මෙම තීරණය ගෙන තිබේ. මෙරට පැරණිතම මූල්‍ය සමාගම වන ද ෆිනෑන්ස් කම්පැනි පීඑල්සී ආයතනය සම්බන්ධයෙන් ශ්‍රී ලංකා මහ බැංකුව විසින් ගෙන ඇති නියාමන ක්‍රියාමාර්ග පිළිබඳව දැනුම් දීමක් සිදුකර තිබේ. මේ පිළිබඳව නිවේදනයක් නිකුත් කරමින් ශ්‍රී ලංකා මහ බැංකුව වැඩිදුරටත් කියා සිටින්නේ ද ෆිනෑන්ස් සමාගම යථා තත්ත්වයට පත් කිරීමේ අරමුණින් අපේක්ෂිත ආයෝජකයන් හදුනා ගැනීම සඳහා අවස්ථා ගණනාවක දී ප්‍රයත්න දැරුව ද එම ප්‍රයත්න තවමත් ප්‍රමාණාත්මක වශයෙන් සාර්ථක වී නොමැති බවයි. මේ සම්බන්ධයෙන් ශ්‍රී ලංකා මහ බැංකුව විසින් ප්‍රකාශයට පත් කරන ලද සම්පූර්ණ නිවේදනය පහතින් දැක්වේ. 2011 අංක 42 දරණ මුදල් ව්‍යාපාර පනත යටතේ ලියාපදිංචි මුදල් සමාගමක් වන ද ෆිනෑන්ස් කම්පැනි පීඑල්සී ආයතනය, 2008 වර්ෂයේ දී එම ආයතනය අයත් ව තිබූ සමාගම් සමුහයේ මූල්‍ය ආයතන ගණනාවක සිදු වූ බිඳ වැටීම හේතු කොට ගෙන දැඩි බලපෑමකට ලක් විය. එතැන් පටන් ද ෆිනෑන්ස් කම්පැනි පීඑල්සී ආයතනයේ මූල්‍ය තත්ත්වය ක්‍රමයෙන් පසුබෑමට ලක් වූ අතර වර්තමානය වන විට ඉතා ඉක්මනින් විසඳිය යුතු උග්‍ර ද්‍රවශීලතා අර්බුදයක් බවට පත් ව ඇත. ආයතනය යථා තත්ත්වයට පත් කිරීමේ අරමුණින් අපේක්ෂිත ආයෝජකයන් හදුනා ගැනීම සඳහා අවස්ථා ගණනාවක දී ප්‍රයත්න දැරුව ද එම ප්‍රයත්න තවමත් ප්‍රමාණාත්මක වශයෙන් සාර්ථක වී නොමැත. ආයතනය වර්තමාන තත්ත්වය යටතේ ක්‍රියාත්මක වීමට ඉඩ දීම තුළින් ආයතනයේ තැන්පත්කරුවන්ගේ සහ ආයතනය කෙරෙහි ඇල්මක් දක්වන පාර්ශ්වයන්ගේ යහපත තවදුරටත් අවම වනු ඇත. ද ෆිනෑන්ස් කම්පැනි පිඑල්සී ආයතනයේ පවතින අසතුටුදායක මූල්‍ය කාර්යසාධන මට්ටම සලකා බැලූ ශ්‍රී ලංකා මහ බැංකුවේ මුදල් මණ්ඩලය විසින් 2019.02.08 දින පැවති රැස්වීමේ දී ආයතනයේ තැන්පත්කරුවන්ගේ සහ අනෙකුත් ණය හිමියන්ගේ හිමිකම් සුරක්ෂිත කිරීම සඳහාත් මූල්‍ය පද්ධතියේ සුරක්ෂිතතාව සහ ශක්තිමත්භාවය තහවුරු කිරීම සඳහාත් කෙටිකාලීන පියවරක් ලෙස 2011 අංක 42 දරණ මුදල් ව්‍යාපාර පනතේ ප්‍රතිපාදන යටතේ නියාමන ක්‍රියාමාර්ග ගණනාවක් වහා ම ක්‍රියාත්මක වන පරිදි බලාත්මක කිරීමට තීරණය කරන ලදි. යෝජිත නියාමන ක්‍රියාමාර්ග අතර නව තැන්පතු බාර ගැනීම අත්හිටුවීම, කල් පිරෙන තැන්පතු ආපසු ගැනීම සීමා කිරීම, ආයතනය නැවත ප්‍රතිව්‍යුහගත කිරීමේ ක්‍රියාවලියට පහසුකම් සැලසීම වෙනුවෙන් ණය ප්‍රදානය සීමා කිරීම ආදිය අන්තර්ගත වේ. ආයතනය ප්‍රතිව්‍යුහගත කිරීමේ ක්‍රියාවලියට පහසුකම් සැලසීම වෙනුවෙන් ශ්‍රී ලංකා මහ බැංකුව විසින් බැංකු හා මූල්‍ය ක්ෂේත්‍රයේ විශේෂඥ මණ්ඩලයක් කළමනාකරණ මණ්ඩලයක් ලෙස පත් කර ඇත. ආයතනය අපේක්ෂිත ආයෝජකයන් සමඟ ඔවුන්ගේ යෝජනාවන් දිගට ම සලකා බලමින් පවතින අතර ශ්‍රී ලංකා මහ බැංකුව විසින් අදාළ නීති හා රෙගුලාසිවලට යටත් ව ද ෆිනෑන්ස් කම්පැනි පිඑල්සී ආයතනයට සුදුසු ආයෝජකයන් සමඟ කටයුතු කිරීමට අවශ්‍ය පහසුකම් සපයනු ඇත. මේ අතර ම ආයතනයේ සියලු ම ණය ගැතියන් ආයතනය වෙත ගෙවිය යුතු සියලු ගෙවීම් නිසි පරිදි ගෙවිය යුතු බවට තරයේ අවධාරණය කර සිටී. තව ද, මෙම ක්‍රියාමාර්ග ආයතනයේ අපේක්ෂිත ආයෝජකයන්ට සේ ම මූල්‍ය පද්ධතියේ ආරක්ෂාව සහ අඛණ්ඩතාව වෙනුවෙන් ඉමහත් සහයෝගයක් වනු ඇති බවට අපේක්ෂා කෙරේ. ආයතනයේ තැන්පතුකරුවන්ගේ අයිතිවාසිකම් සුරක්ෂිත කිරීම පිණිස ආයතනයේ මෙහෙයුම් කටයුතු දැඩි ලෙස නිරීක්ෂණය කරන බව ශ්‍රී ලංකා මහ බැංකුව විසින් ද ෆිනෑන්ස් කම්පැනි පීඑල්සී ආයතනයේ තැන්පත්කරුවන් තවදුරටත් දැනුවත් කර සිටී. තැන්පත්කරුවන්ට තම තැන්පතු වෙනුවෙන් ලැබිය යුතු පොලී මුදල් ගෙවීම් ශ්‍රී ලංකා මහ බැංකුවේ විධානයන්ට අනුකූල ව අඛණ්ඩ ව සිදු කෙරේ. ආයතනය ප්‍රතිව්‍යුහගත කිරීමේ ක්‍රියාවලියත් සමඟ ම ආයතනයේ මුදල් ප්‍රවාහයන් වර්ධනය වීම තුළින් අපේක්ෂිත ආයෝජකයන්ට පහසුකම් සැලසීම මෙන් ම ආයතනයේ නැවත පිබිදීම ද අපේක්ෂා කෙරේ. තව ද ශ්‍රී ලංකා තැන්පතු රක්ෂණ හා ද්‍රවශීලතා ආධාරක ක්‍රමය යටතේ සියලු ම තැන්පත්කරුවන්ට රු. 600,000/- උපරිමයකට යටත් ව තම තැන්පතු ආවර‍ණය කර ගැනීමේ හැකියාවක් පවතින බව ද අවධාරණය කර සිටිමු. මෙ මගින් සමස්ත තැන්පත්කරුවන්ගෙන් සියයට 93ක ප්‍රතිශතයකට සිය මුළු තැන්පතු මුද ලම ආවරණය කර ගැනීමට හැකියාව පවතී. මේ නිසාවෙන් අදාළ කටයුතු සම්බන්ධ ව ශ්‍රී ලංකා මහ බැංකුව සමඟ සහයෝගී ව ක්‍රියා කරන මෙන් තැන්පතුකරුවන්ගෙන් කරුණාවෙන් ඉල්ලා සිටී. මේ සම්බන්ධ ව වැඩිදුර තොරතුරු ලබා ගැනීම සඳහා ශ්‍රී ලංකා මහ බැංකුවේ බැංකු නො වන මූල්‍ය ආයතන අධීක්ෂණ දෙපාර්තමේන්තුවේ 0112477573, 0112477229 හෝ 0112477504 යන දුරකථන අංක මගින් හෝ snbfi_query@cbsl.lk විද්‍යුත් ලිපිනය මගින් තැන්පත්කරුවන්ට සම්බන්ධ විය හැක. The Bourse ended the week on a negative note as the ASPI decreased by 54.84 points (or -0.92%) to close at 5,909.30 points, while the S&P SL20 Index also decreased by 29.85 points (or -0.98%) to close at 3,028.22 points. JKH was the highest contributor to the week’s turnover value, contributing LKR 2.30Bn or 39.55% of total turnover value. Asiri Hospitals followed suit, accounting for 14.37% of turnover (value of LKR 0.84Bn) while C T Holdings contributed LKR 0.75Bn to account for 12.87% of the week’s turnover. Total turnover value amounted to LKR 5.82Bn (cf. last week’s value of LKR 1.92Bn), while daily average turnover value amounted to LKR 1.16Bn(+142.21% W-o-W) compared to last week’s average of LKR 0.48Bn. Market capitalization meanwhile, decreased by 0.91% W-o-W (or LKR 25.35Bn) to LKR 2,762.05Bn cf. LKR 2,787.41Bn last week. 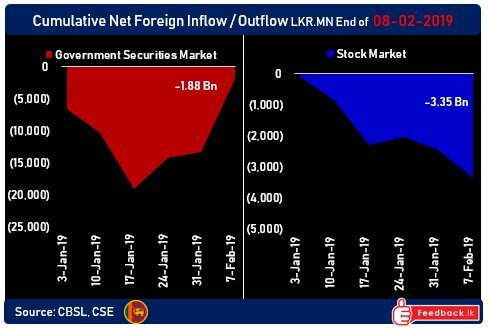 Foreign investors closed the week in a net selling position with total net outflow amounting to LKR 1.85Bn relative to last week’s total net outflow of LKR 0.90Bn (-247.9% W-o-W). Total foreign purchases increased by 908.0% W-o-W to LKR 2.62Bn from last week’s value of LKR 0.26Bn, while total foreign sales amounted to LKR 4.48Bn relative to LKR 1.16Bn recorded last week (+285.5% W-o-W). In terms of volume, Keells Hotels & Teejay Lanka led foreign purchases while JKH & Asiri Hospitals led foreign sales. In terms of value, Ceylon Tobacco & Cargills led foreign purchases while JKH & Asiri Hospitals led foreign sales. Equity markets continued to be plagued by negative investor sentiment, falling ~55 index points over the week as ongoing corporate earnings releases failed to boost investor confidence. The ASPI consequently slipped to its lowest (5,909.30 index points) since Oct 26th 2018 when the country was plunged into a political crisis following the sudden dismissal of the Prime Minister. Greater selling pressure at the start of the week left the ASPI ~34 points weaker by Tuesday and the ASPI fell to a 12- week low of 5,930.21 points amid low activity levels before taking a mid-week breather on Wednesday and Thursday to gain a paltry 2.2 index points. However, the main index retreated a further ~23 points on Friday, consequently closing the week at a 16-week low of 5,909.30 points. Foreign selling from the Colombo Bourse also intensified this week, increasing to Rs. 4.5Bn from Rs. 1.2Bn last week (+285% W-o-W). As a result, net foreign outflow rose to Rs. 1.9Bn for the week (cf. Rs. 0.9Bn last week), pushing the YTD net foreign outflow to Rs. 5.2Bn (relative to a net inflow of Rs. 6.1Bn recorded between Jan’18 – Feb’18). Heightened foreign activity led turnover levels to rise sharply during the week, and total turnover increased 203% W-o-W to Rs. 5.8Bn, mainly driven by local HNIs and Institutional investors who picked up the counters being sold by Foreign investors. While blue-chip heavy weight JKH accounted for ~66% of the week’s total crossings, crossings in mid-caps such as Asiri (20% of crossings), Ceylinco Insurance (4% of crossings), Hemas Holdings (4% of crossings), Central Finance and Cargills also helped drive buying interest during the week. Crossing for the week consequently accounted for 72% of the week’s turnover, helping push average daily turnover levels over the week to Rs. 1.2Bn from Rs. 0.48Bn last week(142% W-o-W). Markets in the week ahead are likely to continue look for cues from corporate earnings releases for the December quarter. In its latest update on Sri Lanka, the World Bank stated that GDP growth in the country is expected to pick up while inflation levels remain manageable at mid-single digits. GDP is expected to rebound from a low base and continue to gradually reach 4.0% over the medium term as it is driven by domestic demand. The Bank added that Sri Lanka’s fiscal deficit is likely to narrow to 4.7% of GDP by 2021 (cf. GoSL’s target of 3.5%) as primary surpluses are supported by the implementation of revenue measures such as the new Inland Revenue Act, further reforms to VAT and Excise and improvements in tax and excise administration. The World Bank further surmised that Sri Lanka will continue to benefit from tourism growth and the EU’s GSP+ over the medium-term but cautioned that rising external interest payments should result in a sizeable current account deficit over the medium-term, especially as the impact of one-off FDIs wanes over the next few years. The Group noted that due to the focus placed on external debt refinancing, external buffers are expected to remain relatively weak and Gross official reserves are projected to range around 3.4 months of imports between 2019-2021. In this context, enhancing competitiveness and attracting more non-debt creating flows will become even more vital over the medium term to manage the country’s external financing pressures. The Group also noted that risks to the outlook remain tilted to the downside, and that key risk remains domestic political risk. Other risks include delays in implementing revenue measures, slower than expected improvements in tax administration, increases in non-discretionary spending, and delays in implementing the Liability Management Act. External risks meanwhile include weak growth in countries that generate foreign exchange inflows to Sri Lanka and tighter than anticipated global financial conditions. 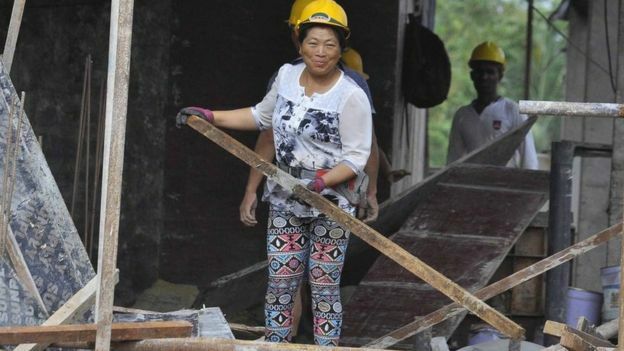 කොළඹ කොටස් වෙළෙඳපොළේ ලැයිස්තුගත සමාගමක් වන Lee Hedges PLC, නවතම ව්‍යාපෘතියකට මුල පුරා තිබේ. ඒ අනුව නව යටිතලපහසුකම් සංවර්ධන ව්‍යාපෘතියක් කොළඹ 03, ගාලු පාරේ, අංක 353 දරණ ස්ථානයේ දියත් කිරීමට කටයුතු යොදා ඇත. මෙම ව්‍යාපෘතිය අදියර දෙකකින් සමන්විත වේ. එහි පළමු අදියර ලෙසින් මෝටර් රථ නැවැත්වීමේ පහසුකම් සහිත ගොඩනැගිල්ලක් ඉදිකෙරෙන අතර දෙවන අදියර ලෙසින් මෙම මෝටර් රථ ගාලට ඉහළින් වාණිජ සංවර්ධන ව්‍යාපෘතියක් දියත් කිරීමට නියමිතය. මෙහිදී ඉදිකිරීමට නියමිත කාර් පාක් ගොඩනැගිල්ල, තට්ටු 6 කින් යුක්ත වේ. එය මෝටර් රථ 186 ක් නැවැත්වීමට ඉඩපහසුකම් සපයනු ලබන අතර සමාගම විසින් රුපියල් බිලියන 1.1 ක ආයෝජනයක් මේ සඳහා කරනු ලබන බව Lee Hedges PLC විසින් කොළඹ කොටස් වෙළෙඳපොළ වෙත දැනුම් දී සිටී. Speaking at the American Chamber of Commerce Sri Lanka’s new monthly event “Breakfast Buzz”, Samaraweera didn’t give specifics, butquipped the 2019 Budget to be presented on 5 March will be “important and interesting.” He said that having stabilised the economy following the 52-day constitutional coup, the UNF Government’s twin programs, Gamperaliya and Enterprise Sri Lanka, will support economic growth and consumption. “This in turn drives consumption growth and helps all business activity as well,” said the Finance Minister, in what was his first talk at a business forum since the UNF Government was reinstated after the 26 October crisis. In parallel, the Minister said the Government’s third priority is to continue reforms to enhance productivity and competitiveness. He added that in the latter part of 2018, the country began to see results of recent efforts, as Sri Lanka moved up 11 places in the Doing Business index. “There is a lot more to be done, but it is clear that we are on the right path. We will continue to build competitiveness by liberalising the economy where we see excessive controls and costs. We are also investing heavily in training and skills development. We will work closely with the private sector in building the relevant skills. More on this will be revealed in the budget,” said Samaraweera. On the eve of the Budget, the Finance Minister also used the AMCHAM Forum titled “ Changing the Paradigm: crafting and implementing evidence based policies” to update the private sector on the economic situation, and shared some thoughts on the Government’s broad plans and strategies. He said that the Government will be implementing a rules-based economic framework that will create confidence in the sustainability of the policy outlook. “The Inland Revenue Act for instance is an important piece of legislation that reduces individual discretion and builds in predictability. The same applies to a market-based fuel pricing mechanism. We will explore similar practices in other areas that help instil certainty and predictability,” the Finance Minister said. “We will continue to consult with industry in policy implementation and provide the necessary time frames for industry to adjust to such measures,” he added. Samaraweera also used the AMCHAM forum to explain the hard work put in to bring the country back to stability, after the cataclysmic disruptions to the economy during the 26 October political crisis. He said in the lead up to 26 October, the Government had brought stability to an economy that had been adversely affected by successive years of drought, which debilitated rural incomes and hurt consumption across the economy. Global oil prices had doubled, and the US Federal reserve was ramping up interest rates, driving capital out of emerging/frontier markets. However, from end October, global oil prices began to decline sharply, the Federal Reserve signalled an easing of their stance, and the consumption began to recover in the fourth quarter. “Without any disruptions, Sri Lanka would have been able to enjoy a robust boost to the economy, and we would have seen a strong uplift in economic performance in 2019. Unfortunately, Sri Lanka was deprived of the opportunity to benefit from these emerging tailwinds, as we got engulfed in a political crisis,” the Finance Minister said. The resulting loss in confidence triggered a surge in capital flight from debt and equity markets – bleeding over a billion dollars from hard earned foreign reserves and causing the currency to depreciate at a time when other emerging and frontier market currencies were recovering. 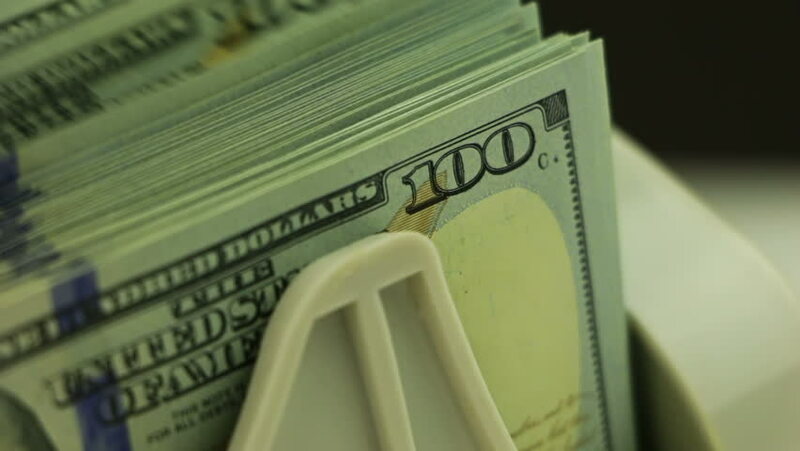 Sri Lanka’s credit ratings were downgraded resulting in external borrowing cost surging into double digit levels just when the country had to re-finance US$ 5.9 dollars of external debt repayments in 2019. Tourist arrivals stalled soon after Sri Lanka was adjudged the best travel destination by Lonely Planet and a new campaign had just been launched. Furthermore, Government cash flows were disrupted, as the plans to raise capital in the last quarter of 2018 could not materialise and without a Budget in November, spending plans were also disturbed. “As a result we are still behind target on cash disbursements, which would have typically been settled in January,” Finance Minister said. It was in this context, he said, that the Government came back into power on 17 December. “We have since repaired the damage to our external sector, and markets have regained confidence in the last 2 months. Today our external borrowing costs have declined by over 200 basis points – assuming $ 3 billion in fresh borrowings this year, which translates into a saving of over Rs. 10.8 billion. Foreign capital is now flowing back into the economy with Rs. 8 billion inflows into government securities since January – and the rupee has also appreciated 2.3% year to date,” Samaraweera disclosed. A lot of work has been done to ensure the first priority. A key element of this would be the continuation of the IMF program, which will signal to markets the continued commitment to disciplined, rules based economic management. The IMF staff mission is in Colombo this week continuing negotiations with officials of the Treasury and Central Bank. The objective is to ensure responsible fiscal policies whilst enabling space to invest in targeted growth supportive measures. By targeted growth supportive measures, the Minister referred primarily to Enterprise Sri Lanka and Gamperaliya. Enterprise Sri Lanka is a program to support private investment in small business, start-ups, and drive entrepreneurship. Sri Lanka has for too long relied on hand outs and artificial consumption booms to drive growth. These are unsustainable measures that have repeatedly resulted in balance of payments crises. Enterprise Sri Lanka will drive growth through private investment and expand economic capacity for future growth. It has already seen over Rs. 70 billion in new credit disbursements going into SME exports, agriculture, and the service economy. In parallel, Gamperaliya is a rapid rural infrastructure investment program. The need of this was highlighted due to the droughts that adversely affected cash flows into the rural economy. By October 2018 Gamperaliya was fast tracking investment into rural roads, small markets, and irrigation – and importantly putting cash back into the hands of the rural economy. This is no doubt one factor that supported the recovery of consumption in the fourth quarter of last year. In fact given the success of Gamperaliya, one of the first actions of the illegal coup government was to halt the Gamperaliya program by a cabinet decision. The Government has now resumed the program with renewed vigour. Gamperaliya, for instance, includes investments in irrigation to improve climate resistance and reduce vulnerability of the rural economy. It includes investments in rural roads and markets to improve connectivity and integration into value chains that can uplift sustained income generation. The forum included a panel discussion where leading economics and business experts deliberated on the key issues for the Sri Lankan economy. The panellists includedMano Tittawela (Senior Adviser, Ministry of Finance);Deshal de Mel (Economic Adviser, Ministry of Finance); Maninda Wickramasinghe (Country Head, Fitch Ratings Sri Lanka); andJeevan Gnanam (Chairman, SLASSCOM). It was moderated byArittha Wikramanayake, Precedent Partner, Nithya Partners. The Finance Ministry is now fine-tuning the upcoming budget 2019, the first by the United National Front (UNF) Government following the breakaway of the coalition with the SLFP, to be presented in parliament on March 5 amidst falling revenue, mounting public debt and severe balance of payments difficulties. Finance Minister Mangala Samaraweera told a forum organised by American Chamber of Commerce this week that the upcoming budget 2019 will be “important and interesting”. 15 development projects will be implemented under the Gamperaliya, rural development programme with a financial allocation of more than Rs. 45 billion. In addition, soft loans amounting to Rs.10 billion will be provided for both small to medium enterprises in rural areas to develop their businesses. These rural development-oriented transformation programmes will be initiated through the 2019 budget. The Budget will be prepared in accordance with the medium-term fiscal frame work (MTFF) by adopting a Performance-Based Budgeting (PBB) approach, with the aim of increasing government revenue to 17 per cent of GDP by 2021. According to the Appropriation Bill, an estimated Rs. 4.55 trillion has been earmarked as expenditure for financial year 2019 while state revenues is expected to be Rs. 2.39 trillion. It has allocated Rs. 2.2 trillion for debt servicing, the largest in the history of the country, according to the Finance Ministry. Amendments to the Finance Act have already been gazetted paving the way to implement populist budget proposals, a senior Treasury official told the Business Times. The middle class is likely to get some relief in the budget which is expected to reflect a please-all strategy. “A high- revenue package will be introduced under the new Inland Revenue Act and strengthened tax administration creating room for critical spending needs including relief measures for vulnerable families through a well-targeted social safety net,” a senior official said.Treasury officials are working on various combinations to determine the proper mix ensuring that the tax burden is eased for the benefit of the middle class, a senior official said, adding that the new taxes will not be unreasonable for them. Sri Lanka’s low and middle income earners will have to pay less income tax with wider tax exemption limit and lower rates, but higher income earners will be directed to pay more with the maximum rate moving up under the 2019 budget proposals, official sources hinted. The third reading of the budget will commence on March 13 and the final vote on the budget will take place on April 4. ශ්‍රී ලංකාවේ රැකියාවල නිරත විදේශිකයෝ: චීන සහ ඉන්දීය ජාතිකයන් 20,000ක්, "තවත් ගේන්න ඕනේ"
මේ දිනවල කොළඹ ගාලු මුවදොර අවට ප්‍රදේශය එක ම වැඩබිමක් ලෙස හැඳින්විය හැකිය. ඒ, එම ප්‍රදේශය අවට සිදුවන විවිධ මහා පරිමාණයේ ඉදිකිරීම් හේතුවෙනි. උදෑසන සහ සවස් කාලයේ සිය ගණන් චීන ජාතිකයන් බස් රථවලින් මෙම වැඩ බිම් කරා පැමිණෙන ආකාරය එම ප්‍රදේශයේ සුලභ දසුනකි. චීන ජාතිකයන් දෙස සැමගේ අවධානය යොමු වුව ද, මෙම ප්‍රදේශයේ කම්කරුවන් ලෙස කටයුතු කරන ඉන්දීය සහ බංගලාදේශ ජාතිකයන් ද සිය ගණනක් සිටිති. පෙනුමෙන් ශ්‍රී ලාංකිකයන්ට බෙහෙවින් සමාන නිසා ඔවුන් ගැන එතරම් අවධානයක් යොමු නොවේ. "චීන්නු පිරිලා අයියේ, මෙහෙම ගියොත් අපේ රටේ කෙනෙක්ට රස්සාවක් වත් නැති වෙයි," ගාලු මුවදොර ප්‍රදේශයේ ත්‍රීවීල් රථ රියැදුරෙකු චීන ජාතිකයන් ගැන විමසීමේදී දැක්වූයේ එවන් අදහසකි. ශ්‍රී ලංකාවේ වැඩියෙන් ම රැකියාවල නිරත විදේශිකයින් වන්නේ, චීන ජාතිකයන් බව සාමාන්‍යයෙන් රට තුළ ඇති මතය වුවත්, ශ්‍රී ලංකා ආගමන විගමන දෙපාර්තමේන්තුවේ නිල සංඛ්‍යා ලේඛන අනුව ශ්‍රී ලංකාවේ වැඩියෙන් ම රැකියාවල නිරත වන්නේ ඉන්දීය ජාතිකයන්ය. එසේම ලක්ෂයකට අධික විදේශිකයන් ශ්‍රී ලංකාවේ රැකියාවල නිරත වන බවට විවිධ මත පළ වුවත් ශ්‍රී ලංකා ආගමන විගමන දෙපාර්තමේන්තුව පවසන පරිදි ශ්‍රී ලංකාවේ මේවන විට රැකියාවල නියැළී සිටින්නේ, රටවල් 23ක පුද්ගලයන් 26,434 දෙනෙකු පමණි. මෙම නිල සංඛ්‍යා ලේඛනවලට වඩා නීති විරෝධීව ශ්‍රී ලංකාවේ සිටිමින් රැකියා කරන පිරිස් ඇති බවට හොඳ ම සාක්ෂිය වන්නේ, ආගමන විගමන දෙපාර්තමේන්තුව විසින් ම සිදුකරනු ලබන වැටලීම්වල තොරතුරු මගිනි. ඉකුත් පෙබරවාරි 2 වන දා මතුගම ප්‍රදේශයේ කර්මාන්ත ශාලාවක සංචාරක වීසා මගින් ශ්‍රී ලංකාවට පැමිණ සේවය කරමින් සිටි ඉන්දීය ජාතිකයන් 49 දෙනෙකු අත්අඩංගුවට ගත් අතර ඊට පෙර සතියේ ඉංගිරිය ප්‍රදේශයේ ද කර්මාන්ත ශාලාවල එලෙස සේවය කරමින් සිටි 25 දෙනෙක් අත්අඩංගුවට ගනු ලැබූහ. ආගමන විගමන වීසා පාලක චමින්ද හෙට්ටිආරච්චි බීබීසි සිංහල සේවයට පැවසුවේ, නිරන්තරයෙන් තම දෙපාර්තමේන්තුවේ වැටලීම් අංශය විසින් නීති විරෝධිව රැකියාවල නියැළෙන විදේශිකයන් අත්අඩංගුවට ගෙන රටින් පිටුවහල් කරනු ලබන බවය. කෙසේ නමුත්, ලක්ෂයකට අධික විදේශිකයන් ශ්‍රී ලංකාවේ රැකියාවල නිරත වන බවට මාධ්‍යවල නිතර පළ වන මතය තම දෙපාර්තමේන්තුව ප්‍රතික්ෂේප කරන බවත් ඔහු පැවසීය. වාණිජ මණ්ඩලය හරහා කරන විදේශ අයෝජන ව්‍යාපෘතිවලට යම් සීමාවන් සහිතව එම ආයෝජකයන්ට වීසා සංඛ්‍යාවක් නිකුත් කරයි. රජයේ ව්‍යාපෘතිවල ඉදිකිරීම් සඳහා සම්බන්ධව සිටින විදේශ සමාගම්වලට ද එවැනි අවස්ථාවක් හිමි වේ. ශ්‍රී ලංකාවේ පෞද්ගලික අංශයේ රැකියා සඳහා වීසා ලබා දීමක් ද සිදු කෙරේ. පෞද්ගලික අංශයේ රැකියාවක් සඳහා වීසා ලබා ගැනීමට අදාළ ශ්‍රී ලංකා සමාගම ශ්‍රී ලංකාවේ එම සමාගමේ විෂය පථයට අදාළ අමාත්‍යංශ හරහා අවසර ගැනීම ද සිදුවිය යුතුය. බොහෝ විට එම අවසරය ලබා දෙන්නේ එම ක්ෂේත්‍රයේ ශ්‍රී ලාංකිකයන්ගේ හිඟයක් ඇති නම් පමණි. දැනට ශ්‍රී ලංකාවේ සිටින බහුතරයක් විදේශිකයන් පැමිණ සිටින්නේ, ඉදිකිරීම් ක්ෂේත්‍රයේ රැකියා සඳහාය. අර්බුදයට පත්ව ඇති ETI ෆිනෑන්ස් ආයතනය සම්බන්ධයෙන් ශ්‍රී ලංක මහ බැංකුව විසින් ගනු ලැබූ තීන්දු තීරණ පිළිබඳව පාර්ලිමේන්තු මන්ත්‍රී විමල් වීරවංහ මහතා පසුගිය දා සෘජුවම මහ බැංකු අධිපති ආචාර්ය ඉන්ද්‍රජිත් කුමාරස්වාමි මහතා වෙත චෝදනා එල්ල කර සිටියේය. මේ සම්බන්ධයෙන් විමල් වීරවංශ මන්ත්‍රීවරයා විසින් මහ බැංකු අධිපතිවරයා වෙත ලිපියක් යොමුකර ඇති බවට වෙබ් අඩවිවල සඳහන් වුවත් මහ බැංකු අධිපතිවරයා පවසන්නේ තමන් වෙත එවැනි ලිපියක් මේ වන විටත් ලැබී නොමැති බවයි. මේ පිළිබඳව වැඩිදුරටත් කරුණු පැහැදිලි කරමින් ශ්‍රී ලංකා මහ බැංකු අධිපති ආචාර්ය ඉන්ද්‍රජිත් කුමාරස්වාමි මහතා විසින් සිදුකරන ලද ප්‍රකාශයක් පහතින් දැක්වේ. ගරු පාර්ලිමේන්තු මන්ත්‍රී, විමල් වීරවංශ මැතිතුමා විසින් මා වෙත යොමු කරනු ලැබ ඇතැ යි සඳහන් කර LankaCNews වෙබ් අඩවියේ 2019.02.17 දින ඊටීඅයි ෆිනෑන්ස් ලිමිටඩ් ආයතනයේ ගනුදෙනු පිළිබඳ ව පළ කරනු ලැබූ ලිපිය කෙරෙහි මාගේ අවධානය යොමු කොට ඒ සම්බන්ධයෙන් පහත කරුණු පැහැදිලි කිරීමට අපේක්ෂා කරන අතර එම ලිපිය මෙතෙක් මා වෙත ලැබී නැති බව ද මෙයින් දන්වා සිටිමි. 1. ඊටීඅයි ෆිනෑන්ස් ලිමිටඩ් ආයතනය සම්බන්ධයෙන් ගනු ලැබූ නියාමන ක්‍රියාමාර්ග පිළිබඳ ව ශ්‍රී ලංකා මහ බැංකුව විසින් මාධ්‍ය නිවේදනයක් නිකුත් කරන ලද්දේ 2018.01.02 දින වන අතර ඉහත වෙබ් පිටුවේ සඳහන් පරිදි 2018.02.01 දින නො වේ. තව ද, එකී නිවේදනය මගින් දක්වා ඇත්තේ ශ්‍රී ලංකා මහ බැංකුව විසින් ඊටීඅයි ෆිනෑන්ස් ලිමිටඩ් ආයතනය අධීක්ෂණය සඳහා මහ බැංකු නිලධාරීන් පත් කරන ලද බව නො වේ. ශ්‍රී ලංකා මහ බැංකුව විසින් පත් කරනු ලැබුවේ කළමනාකරණ මණ්ඩලයක් වන බවත් එහි ප්‍රධානියා ශ්‍රී ලංකා මහ බැංකුවේ විශ්‍රාමික නිලධාරියෙකු වන අතර සෙසු සාමාජිකයින් ලංකා බැංකුවේ විශ්‍රාමික නිලධාරීන් දෙදෙනෙකු වේ. 2. එකී වෙබ් ලිපියේ සඳහන් කර ඇති පරිදි ශ්‍රී ලංකා මහ බැංකුව සුබාස්කරන් අලිරාජා‍ හෝ වෙනත් කිසිදු පුද්ගලයකු සමඟ එකඟතාවක් ඇති කර ගෙන නැත. අප සැම විට ම සඳහන් කරනු ලැබුවේ වත්කම් විකිණීමට අදාළ සියලු ගනුදෙනු ඊටීඅයි ෆිනෑන්ස් ලිමිටඩ් ආයතනය විසින් ම අදාළ පුද්ගලයන් සමග සාකච්ඡා කළ යුතු බවයි. 3. එකී වෙබ් ලිපියේ දක්වා ඇති පරිදි ඊටීඅයි ෆිනෑන්ස් ලිමිටඩ් ආයතනයේ වත්කම් විකිණීම සඳහා ශ්‍රී ලංකා මහ බැංකුවේ මැදිහත් වීමක් සිදු නො වූ බවත් ශ්‍රී ලංකා මහ බැංකුව විසින් සිදු කරනු ලැබුවේ අදාළ වත්කම් විකිණීම සඳහා ඊටීඅයි ෆිනෑන්ස් ලිමිටඩ් ආයතනයේ අධ්‍යක්ෂ මණ්ඩලය විසින් කරන ලද ඉල්ලීම සලකා බලා ඒ සඳහා අවශ්‍ය අනුමැතීන් ලබා දීම සහ එකී වත්කම් සඳහා සාධාරණ මිලක් ලබා ගැනීමට ගත හැකි ක්‍රියාමාර්ග ගැනීම සඳහා කටයුතු කිරිමයි. ඒ අනුව මුලින් ඉදිරිපත් කරන ලද ලංසුව වැඩිකර ගැනීම සඳහා ඊටීඅයි ෆිනෑන්ස් සමාගමට බලපෑම් කිරීමට අවශ්‍ය කටයුතු සිදු කරන ලදී. 4. කෙසේ නමුදු ස්වර්ණමහල් ෆයිනෑන්ෂියල් සර්විසස් පීඑල්සී ආයතනය ප්‍රතිෂ්ඨාපනය කිරිම සඳහා බෙන් හෝල්ඩින්ස් (ප්‍රයිවෙට්) ලිමිටඩ් නමින් දේශීය ව සංස්ථාපනය කරන ලද සමාගමක් මගින් ස්වරණමහල් ෆයිනැන්ෂියල් සර්විසස් පීඑල්සී වෙත ඉදිරිපත් කරන ලදුව ශ්‍රි ලංකා මහ බැංකුවට ඉදිරිපත් කරන ලද ව්‍යාපාරික සැලැස්ම සඳහා මහ බැංකුවේ ප්‍රතිපත්තිමය අනුමැතිය ලබා දී ඇත. එකී අනුමැතිය සමඟ ශ්‍රී ලංකා මහ බැංකුව විසින් අදාළ ආයෝජකයාගේ මූල්‍ය හැකියාව ඇතුළු තවත් අවශ්‍ය තොරතුරු ඉදිරිපත් කරන ලෙස ඉල්ලා සිටින ලද අතර එම තොරතුරු ශ්‍රී ලංකා මහ බැංකුව වෙත මෙතෙක් ඉදිරිපත් කරනු ලැබ නැත. එහෙත් එම වෙබ් ලිපියේ සඳහන් පරිදි එම ආයතනය සඳහා එක්සත් ජනපද ඩොලර් මිලියන 12 ක් යෙදවීමට එකඟතාවක් මහ බැංකුව වෙත දැනුම් දී නැත. 5. 2018.01.02 දිනැති නිවේදනයේ පැහැදිලි ව සඳහන් වූ පරිදි ඊටීඅයි ෆිනෑන්ස් ලිමිටඩ් ආයතනයේ අධ්‍යක්ෂ මණ්ඩලය එසේ ම පැවති අතර ආයෝජකයින් හා තැන්පත්කරුවන් සමඟ සාකච්ඡා කිරීම සහ ඊට සම්බන්ධ කරුණු අධ්‍යක්ෂ මණ්ඩලය විසින් ම කළ යුතු බවට දැනුම් දෙනු ලැබිණ. ඒ අනුව ශ්‍රී ලංකා මහ බැංකුව විසින් මුලින් දැනුම් දුන් ස්ථාවරය එසේ ම පවතී. 6. 2018.02.27 දිනැති ලිපිය මගින් හෝ වෙනත් කිසිදු අනුමැතියක් මාර්ගයෙන් ඊඒපී ආයතනය විකුණා දැමීම සඳහා අනුමැතියක් ලබා දී නැත. මුදල් මණ්ඩලයේ අනුමැතිය ලබා දී ඇත්තේ ඊටීඅයි ෆිනෑන්ස් ලිමිටඩ් ආයතනය සතු ව පැවති වත්කම්වලින් තෝරා ගත් වත්කම් කිහිපයක් විකිණීම සඳහා වන අතර ඒ සඳහා එම ආයතනයට ලැබිය යුතු මුදල එක්සත් ජනපද ඩොලර් මිලියන 75ක් විය යුතු බවයි. මුලින් එකඟතාව පළ කරනු ලැබුවේ එම හඳුනාගත් වත්කම් සියල්ල එකවර මිලදී ගැනීමට වුවත් ගැණුම්කරුවන් විසින් මුදල් ගෙවනු ලැබුවේ කොටස් වශයෙන් නිසා එසේ එවන ලද මුදල් ප්‍රමාණයට සරිලන පරිදි පමණක් වත්කම් මාරු කිරීමට කටයුතු කරනු ලැබී ය. 7. එක්සත් ජනපද ඩොලර් මිලියන 54 ගෙවීමෙන් පසුව ඉතිරි එක්සත් ජනපද ඩොලර් මිලියන 16 ගෙවීම සඳහා වසරක කාලයක් ලබා දීමට ශ්‍රී ලංකා මහ බැංකුව කිසි විටෙකත් කටයුතු කර නොමැති අතර එසේ කටයුතු කරන්නේ ද නැත. ඇත්ත වශයෙන්ම සිදු වූයේ අදාළ ගැනුම්කරු එක්සත් ජනපද ඩොලර් මිලියන 16 ක මුදල 2018.10.25 දින ශ්‍රී ලංකාවේ බැංකුවකට එවන ලද නමුත් ගනුදෙනුව සම්බන්ධ ව පැවති අපැහැදිලි තත්ත්වයන් නිසා එම මුදල් නැවත ආපසු ගෙන්වා ගැනීමයි. එහෙත් එම මුදල 2019 පෙබරවාරි මාසය අවසන් වීමට පෙර නැවත එවීමට කටයුතු කරන බව දැනුම් දී ඇත. 8. ගැනුම්කරුවන් විසින් මිල දී ගන්නා ආයතනවල අයිතිය ලියාපදිංචි කිරිම සිදු කළ යුත්තේ එම ආයතනය නියාමනය සම්බන්ධ නීති සහ රෙගුලාසිවලට අනුකූල ව ය. ඒ සඳහා කටයුතු කිරීම අදාළ වත්කම් මිල දී ගනු ලබන අය විසින් සිදු කළ යුතු ය. 9. වත්කම් මිල දී ගැනීමට අදාළ මුදල් ප්‍රේෂණය කිරීමේ දී අදාළ බැංකු විසින් යථායෝගි පරීක්ෂණයක් සිදු කරන ලද බවත් ඒ සම්බන්ධ ව ඔවුන් සෑහිමට පත් වන්නේ නම් පමණක් මුදල් ප්‍රේෂණය භාර ගත යුතු බවත් අදාළ බැංකුවලට දන්වා ඇත. එසේ කටයුතු කර අදාළ මුදල් ගිණුම්වලට බැර කරනු ලැබූ බව බැංකු විසින් සහතික කරනු ලැබ ඇත. 10. මෙම ගනුදෙනුව සම්බන්ධ ව කරන ලද පරීක්ෂණ කටයුතුවල දී වත්කම් මිල දී ගන්නා අය නීති විරෝධී කටයුතුවලට වැරදිකරුවන් වී ඇති බවට වාර්තා අප වෙත ඉදිරිපත් වී නැත. 11. අදාළ ගනුදෙනුව සඳහා සම්පූර්ණ වශයෙන් එනම් එක්සත් ජනපද ඩොලර් මිලියන 75ක මුදල නො ලැබුනහොත් (දැනට එකඟ වී ඇති පරිදි එක්සත් ජනපද ඩොලර් මිලියන 70 ක් ලැබිය යුතු ය.) ඉතිරි එක්සත් ජනපද ඩොලර් මිලියන 5 වෙනුවෙන් ස්වර්ණමහල් ෆයිනෑන්ෂියල් සර්විසස් පීඑල්සී ආයතනය ඊටීඅයි ෆිනෑන්ස් ලිමිටඩ් ආයතනය සතු ව තව දුරටත් පවතිනු ඇත. කෙසේ වුවත් එම ආයතනය සඳහා විකල්ප ක්‍රමවේදයන් මේ වන විට ද සලකා බලමින් පවතී. 12. ශ්‍රී ලංකා මහ බැංකුව සතු නීතිමය බලය සීමා වන්නේ මූල්‍ය ආයතන සම්බන්ධ කටයුතුවලට වන අතර ඉඩම්‍ හෝ මාධ්‍ය ආයතන ලියාපදිංචි කිරීම සම්බන්ධ බලතල අයත් වන්නේ ඊට අදාළ ව ක්‍රියාත්මක වන ආයතනවලට ය. එ බැවින් අදාළ ගනුදෙනුව සම්බන්ධ අනුමැතිය දීම ඇතුළු අනිකුත් සියළු අවස්ථාල දී වත්කම් මිල දී ගැනීම, පැවරීම හා ඊට අදාළ අනිකුත් සියලු කාර්යයන් රටේ පවතින නීති හා රෙගුලාසිවලට යටත් ව සිදු කළ යුතු බවට අදාළ සියලු පාර්ශ්වයන්ට නිරන්තරයෙන් ම දැනුම් දී ඇත. 13. ස්වර්ණමහල් ෆයිනෑන්ෂියල් සර්විසස් පීඑල්සී ආයතනයේ ව්‍යාපාර සැලැස්ම සම්බන්ධ ව ශ්‍රී ලංකා මහ බැංකුව ගනුදෙනු කරනු ලැබුවේ එම ආයතනය සමඟ වන අතර අදාළ වෙබ් ලිපියේ සඳහන් පරිදි වෙනත් පාර්ශ්වයක් සමඟ නො වේ. 14. මීට පෙර ද අප විසින් සඳහන් කළ පරිදි ශ්‍රී ලංකා මහ බැංකුව විසින් ඊටීඅයි ෆිනෑන්ස් ලිමිටඩ් ආයතනයට සිය වත්කම් එක්සත් ජනපද ඩොලර් මිලියන 75කට විකිණීම සඳහා අවසර දෙන අවස්ථාව වන විට එම වත්කම් මිල දී ගැනීම සඳහා වෙනත් කිසිදු දේශීය පාර්ශ්වයක් ඉදිරිපත් ව සිටියේ නැත. Reuters - ** Sri Lankan shares and the rupee closed weaker on Tuesday, with investors waiting for directions from next week’s budget and the outcome of talks between government authorities and the International Monetary Fund (IMF), market sources said. ** Sri Lanka has asked the IMF to extend a $1.5 billion loan by another year and relax its tight spending targets ahead of key elections, two government sources close to the negotiations told Reuters on Tuesday. ** The rupee ended at 179.80/90 per dollar, compared with Monday’s close of 179.70/80. ** Finance Minister Mangala Samaraweera will present the 2019 budget on March 5. ** Traders and investors are waiting to see how the market would react to the central bank’s surprise announcement on Friday of reducing commercial banks’ statutory reserve ratio (SRR) by 100 basis points after the effective date March 1, the sources said. ** The central bank reduced the SRR to increase liquidity and spur credit growth as policymakers struggle to boost a faltering economic growth following a political crisis and a recent rate increase. ** Foreign investors exited from government securities for the first time in five weeks in the week ended Feb. 20, with net sales of 1.5 billion rupees, the central bank’s latest data showed. ** The rupee has climbed 1.6 percent so far this year as exporters converted dollars and foreign investors purchased government securities amid stabilising investor confidence after the country repaid a $1 billion sovereign bond in mid-January. ** Worries over heavy debt repayment after the 51-day political crisis that resulted in a series of credit rating downgrades dented investor sentiment as the country struggled to repay its foreign loans. ** The rupee dropped 16 percent in 2018, and was one of the worst-performing currencies in Asia due to heavy foreign outflows. ** The Colombo Stock Exchange index closed lower for a seventh straight session on Tuesday, shedding 0.07 percent to 5,822.27 - its lowest close since Oct. 25. ** The benchmark index dropped 1.2 percent last week, recording its third straight weekly fall. It declined about 1 percent in January. ** Turnover was 261.96 million rupees ($1.46 million), well below last year’s daily average of 834 million rupees. The United States has approved resuming Foreign Military Financing and Millennium Challenge Corporation aid to Sri Lanka, which had been suspended after last year’s political crisis, Minister of Finance Mangala Samaraweera said. “Recently, the US government approved the Foreign Military Financing as well as the Millennium Challenge Corporation Compact Programme for Sri Lanka, which was put on hold,” he said at the opening of a US aid facility in southern Matara. Assistance offered through USAID, US Peace Corp and the House Democracy Partnership Programme are some the initiatives the two countries are working together on, Samaraweera said at the opening of a new ‘American Corner’ in Matara. It will offer free training in a partnership with the Matara Chamber of Industry and Commerce to expand economic opportunity for people in the southern region. 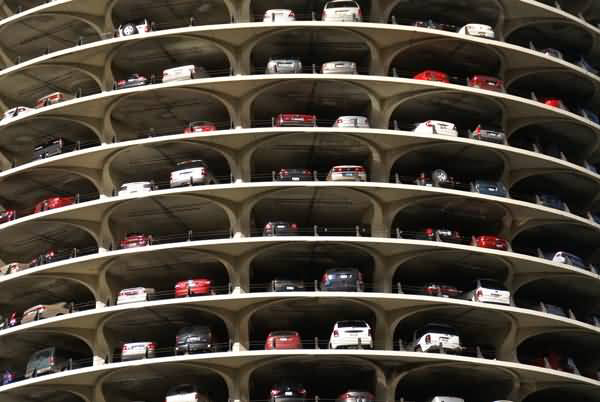 Through the Millennium Challenge Corporation (MCC), a U.S. government aid agency, Sri Lanka will get grants for projects in the transport and land sectors. Reuters - ** Sri Lankan shares fell for an eighth straight session on Wednesday and the rupee closed weaker, with investors waiting for directions from next week’s budget and the outcome of talks between government authorities and the IMF, market sources said. ** Sri Lanka has asked the IMF to extend a $1.5 billion loan by another year and relax its tight spending targets ahead of key elections, two government sources close to the negotiations told Reuters on Tuesday. ** The rupee ended at 179.85/95 per dollar, compared with Tuesday’s close of 179.80/90. ** Finance Minister Mangala Samaraweera will present the 2019 budget on March 5. ** Traders and investors are waiting to see how the market would react to the central bank’s surprise announcement on Friday of reducing commercial banks’ statutory reserve ratio (SRR) by 100 basis points after the effective date March 1, the sources said. ** The central bank reduced the SRR to increase liquidity and spur credit growth as policymakers struggle to boost a faltering economic growth following a political crisis and a recent rate increase. ** Foreign investors exited from government securities for the first time in five weeks in the week ended Feb. 20, with net sales of 1.5 billion rupees, the central bank’s latest data showed. ** The rupee has climbed 1.5 percent so far this year as exporters converted dollars and foreign investors purchased government securities amid stabilising investor confidence after the country repaid a $1 billion sovereign bond in mid-January. ** Worries over heavy debt repayment after the 51-day political crisis that resulted in a series of credit rating downgrades dented investor sentiment as the country struggled to repay its foreign loans. ** The rupee dropped 16 percent in 2018, and was one of the worst-performing currencies in Asia due to heavy foreign outflows. ** The Colombo Stock Exchange index closed lower for an eighth straight session on Wednesday, shedding 0.38 percent to 5,799.98 - its lowest close since Oct. 25. ** The benchmark index dropped 1.2 percent last week, recording its third straight weekly fall. It declined about 1 percent in January. ** Turnover was 300.3 million rupees ($1.67 million), well below last year’s daily average of 834 million rupees.